RMS present Master Mixer; a luxurious rose gold toned highlighter that blends effortlessly with any lip, cheek or eye product to deliver a pearlescent glow. 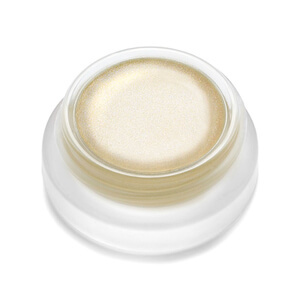 Working to illuminate your favourite features, the highlighter can be used on the face and body for a professional strobe finish, whilst its silky texture applies seamlessly for a 'lit from within' effect. Blend onto high points of the face, including the cheekbones, Cupid's bow, centre of the nose and brow bones for a luminous, light reflective finish. Can be applied as a lipstick or eyeshadow. *Cocos Nucifera (Coconut) Oil, *Cera Alba (Beeswax), *Simmondsia Chinesis (Jojoba) Seed Oil, *Theobroma Cacao (Cocoa) Seed Butter, Silica, Tocopherol (non-GMO), *Rosmarinus officinalis (Rosemary) Extract, Mica and may contain [+/- Titanium Dioxide CI77891, Iron Oxides CI 77491, CI 77492, CI 77499]. *Certified Organic.